If you're like the few hundred million smartphone users out there, your daily life — professional and/or personal — probably relies heavily on your phone. You count on it for directions, emails, research, appointment reminders and entertaining the little ones, not to mention making phone calls and sending messages. And with the rise of new smart home technologies, you can also use it for home security, saving energy and accessibility. The list is long and growing longer every day. Though it's superfluous to say, your iPhone is your lifeline, and there are a few essential things to add to your tech arsenal to keep it safe and functioning properly. After all, you wouldn't want to run out of juice or get a severely cracked screen in the middle of a busy workday or find yourself without a pair of headphones to disconnect from the frenzy and enjoy a bit of downtime at the end of one. 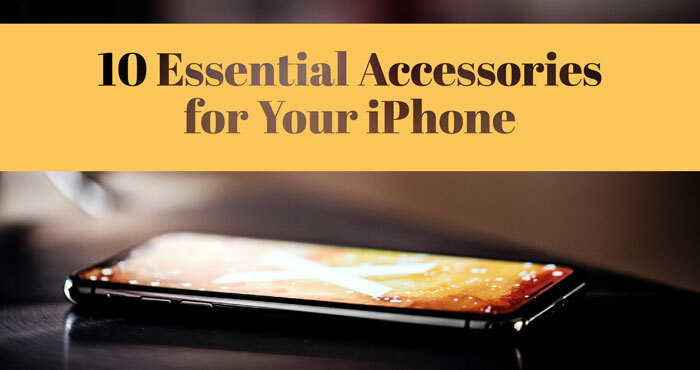 We've put together a list of 10 essential iPhone accessories that make the difference between a successful, highly productive day and a disastrous one, from fast and convenient chargers to keep your device running to tried and tested protectors to keep it from getting damaged, and other small necessities that have proven quite useful. iPhones tend to have a battery life similar to the attention span of a five-year-old, and when they're constantly being used for different applications — endless business calls, never-ending streams of emails, your preschooler needing to play his favorite game or he'll throw a fit — they'll only last you half a day. It's why power banks are, these days, as critical as the phones they support. But don't just buy the first one you see in your favorite color while you're shopping in a clothing store. Make the purchase count with a trusted, well-reviewed one like the Bonai 5800mAh ultra-compact power bank. 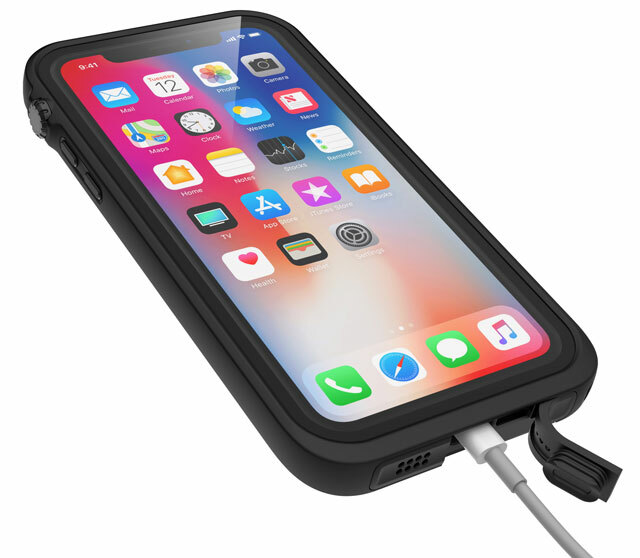 It's affordable and durable, it packs enough power for two full iPhone 7 charges (or one and a half iPhone X charges), it's fast-charging with a 2.1A output, and it even protects your devices from excessive current and overheating with built-in device safety protection. And it works for other smartphones and tablets as well. To be fair, there are several excellent 10000mAh chargers out there that pack more juice. 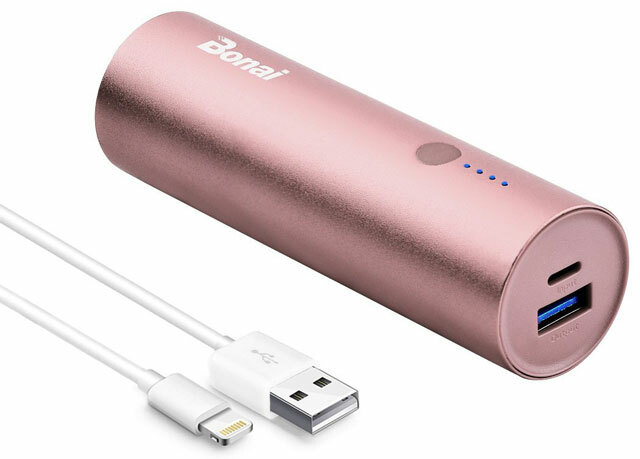 However, at 5.1 x 2.6 x 1.6 inches, this one's about the size of a lipstick tube, making it great for those who prefer to travel light and don't need heavy-duty recharging power. Plus, it comes in four colors, giving you aesthetic options. If you're sick of having to deal with wires and cables all the livelong day, despair not. Though charging cables are far from being a thing of the past, there are several wireless options out there that end frayed-wire nightmares, could potentially reduce clutter in your household and might even save you money, as you no longer have to keep replacing non-working cables. 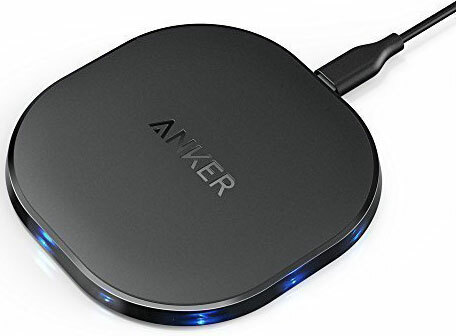 Anker's sleek, thin and subtle wireless charging pad, which will only set you back $26, is one of the best affordable wireless charging options on the market at the moment. Using electromagnetic fields, it essentially produces an electric current that powers your device, rendering futile the need for a cable. It's a useful accessory for your iPhone 8, 8 Plus, or X, one with a charging indicator status and advanced safety technology for protection from overheating, electric surges and short-circuiting. Though currently, it can only afford the normal charging speed for iPhones at 5W (its fast-charging option only applies to certain Samsung devices), it's still definitely a great buy, especially if you want to minimize clutter and have a more convenient way to charge. Though if you prefer to kick it old-school, then you should consider a fast-charging option — because honestly, the world waits for no one, especially not your dead iPhone charging away at crawling speed. Do yourself a favor and invest. Smart wall chargers abound on Amazon, and they're reliable, long-lasting, and quite inexpensive. 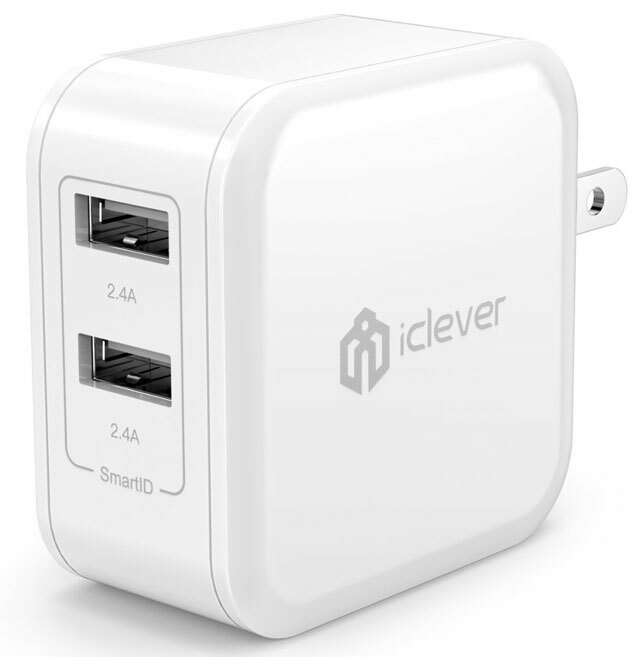 Our pick is iClever's BoostCube 4.8A 24W dual USB wall charger, which offers quite a few features for less than $15. First of all, it's small, at 2 x 2 inches; its prongs are foldable and it accepts anywhere from 100V to 240V AC input, making it useful as a travel charger. Secondly, it has two USB ports, so you can simultaneously charge two devices at once. Third, it comes in two colors — black and white — and fourth, it provides over-current, short-circuit and over-temperature protection. Lastly but most importantly, each USB output delivers 24W/4.8A of power, giving you really fast charging capabilities and saving you a lot of time. And, of course, it also works with other USB-powered devices. Be warned: Most of these power banks and wall chargers do not come with a lightning cable, and certainly not a long one. If you're like everyone else on the planet, you'll likely be using your iPhone while it's still charging. With a longer cable, say six feet in length, you won't be doing so while standing in front of a wall or hanging awkwardly off the bed. 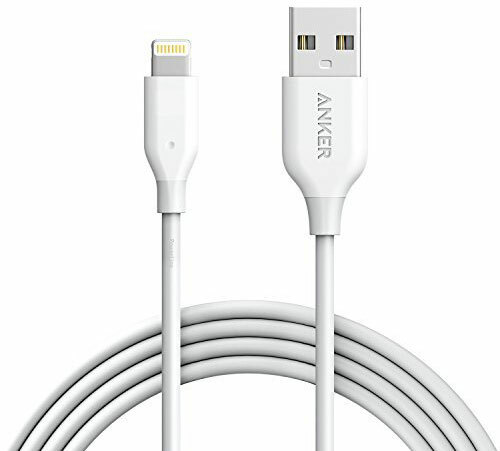 Consider Anker's six-foot lighting cable, not just for its length, which offers convenience and flexibility, but also because it's MFI certified — that's Apple Inc's licensing program for third-party peripherals that are made for iPhones, iPods and iPads. This cable's certified for iPhone 5 through iPhone X so you don't need to worry about compatibility or safety issues. Plus it's made of ultra-durable fiber material and the jack and sheath connection point is laser-welded, so its wear- and fray-resistant. How many shattered screens and $100 replacement charges must you endure before you decide to invest in a screen protector? You'll be saving yourself a whole lot of cash, time and headache. Trust us. Glass screen protectors have long been proven to be very effective in protecting your screen from damages, and they're a lot more affordable than you think. Take OMOTON's glass screen protector, for instance. It comes in packs of two for only $8, and it offers 9H level of hardness, which is apparently harder than a knife's blade, making it resistant to scratches. It also offers 99.99% transparency and is only 0.26mm thick so it maintains your phone's original brightness and response sensitivity. It's also a no-brainer to install, so you can skip the Genius Bar. 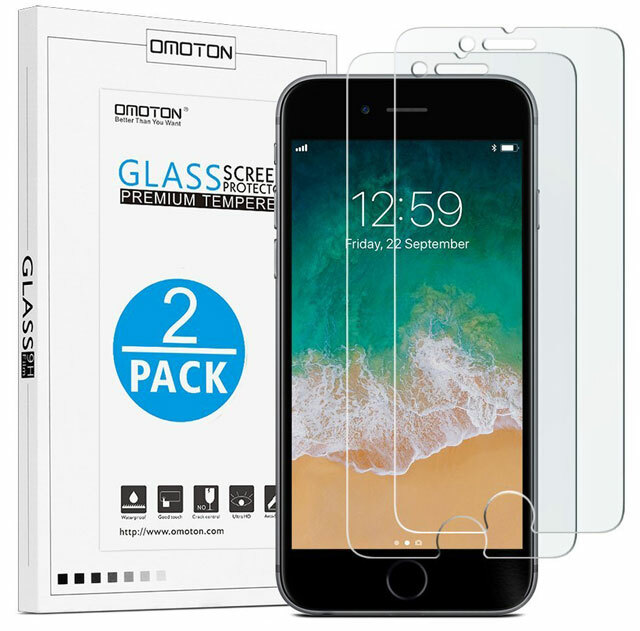 The OMOTON acts like a buffer, taking all the wear, tear, drops and bumps, protecting your original screen from cracks and scratches. And because it's tempered glass, it doesn't shatter into sharp pieces when broken. 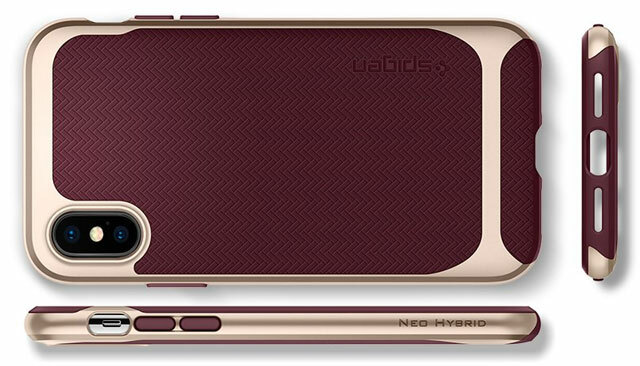 Of course, no iPhone should be out in the world without a protective case. These are $700 to $1000 devices, and replacing one is just as costly. Most cases do a good job of ensuring your iPhone's protection from run-of-the-mill falls and bumps. However, if you are super clumsy, have a more adventurous lifestyle or just want to take extra precaution, investing in a shock-absorbent case isn't a bad idea. Especially if it'll only set you back $14, like the Spigen Neo hybrid herringbone case, which comes with a flexible inner protective layer and a reinforced hard bumper frame. Its dual-layer design enhances its shock-absorbency, protecting your phone from hard falls and everyday impacts. Worry not — it also has a slim profile, so your phone doesn't feel bulky. Other features we love in this case are that it comes in a stylish matte herringbone design so it's fingerprint-resistant AND it comes in six different colors. This particular model is designed for iPhone 7, iPhone 8 and iPhone X. Now, if you're one to drop your phone in the toilet or you're a notorious spiller (or you have little ones who tend to get hold of your phone and might be either of the above), you're better off investing in a waterproof case. Catalyst's waterproof and shockproof case is just the ticket. It promises military-grade shock-resistance with its polycarbonate shell up to 6.6 feet and protection from water and snow up to 33 feet of submersion. Mind you, it's not low-cost, but that's because it's not just for everyday use. The best thing about this product is that you can go swimming, paddleboarding, kayaking and even snorkeling with it. When installed properly, it really protects your phone from water. Plus, it prevents your phone from freezing in cold temperatures so you can still take photos while you're skiing, snowboarding or snowmobiling. And while many underwater cases tend to cause the phone to overheat in warm places, this one does a great job in preventing that as well. It's also wise to invest in a pair of great headphones. They're not only for music listening and making hands-free phone calls; they're also good for watching movies on planes and during layovers, catching up on the news on your daily commute and keeping the little ones from a total meltdown by distracting them with reruns of their favorite Disney show. Do note that you're paying not only for the features but also for the brand name; these headphones will set you back $350. For a more affordable alternative, try Ausdom's AH861 over-the-ear pair, one of the best Bluetooth headphones under $50 on the market. These have fewer features but will only cost you $37. If you're an iPhone 7, 8 or X user, you'll have experienced the inability to charge your phone while listening to music, watching a movie or making a phone call. Thanks to these models' lack of a 3.5mm headphone jack port, users can't multitask in this manner (or are forced to use wireless headphones instead). Bluetooth headphone enthusiasts might not find it such an inconvenience, but fans of wired listening devices certainly do. If you're such a person, consider adding a lightning-to-headphone jack adapter to your list of peripherals. 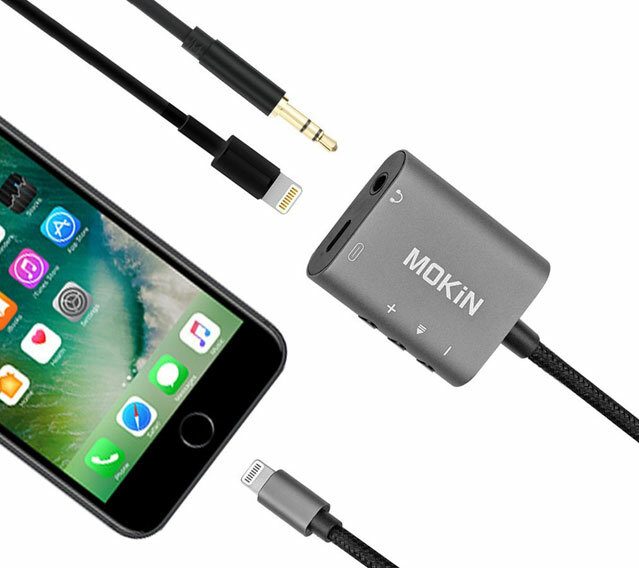 MOKiN's highly rated splitter lets you go back to the good old days when you could charge and use the 3.5mm audio plug at the same time. It even lets you control the volume, play/pause and pick up/end calls. You might wonder at the price. For such a tiny thing, this adapter/splitter costs $36. 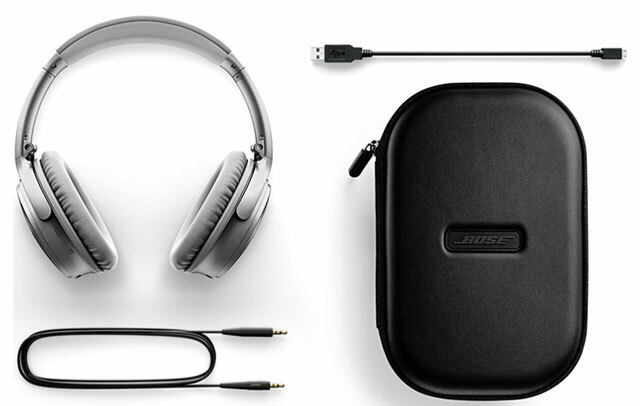 But consider: It's MFI certified; it's built to last, with its aluminum case and braided cable; and it brings your audio back from 16-bit to 24-bit for better sound quality. If you think those cute little PopSockets are more trendy than useful, think again. Or just jump on the bandwagon and discover their potential yourself. These popping, tilting, collapsing little buttons might come in cute designs and look more like baubles than handy accessories. In truth, however, they are nifty as heck and well worth the price for the number of ways you'll use them. 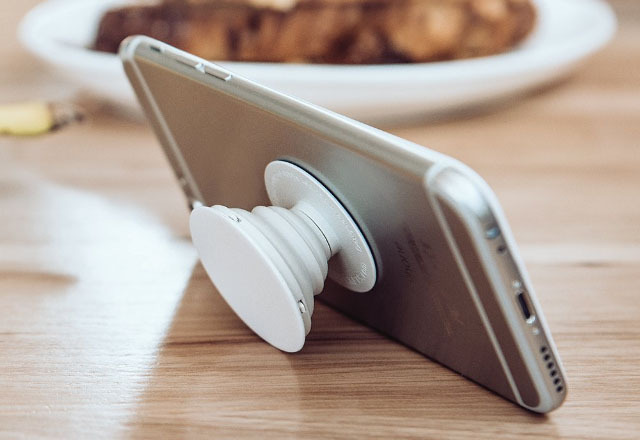 A PopSocket is essentially a grip, a stand and an anchor in one, and installing it is as easy as pie. Prop up your phone without hassle so you can watch movies, play games, Skype/FaceTime and even jump on a video conference call without straining your wrists and arms. Take self-portraits, photos and videos with ease and without having to worry about dropping your phone. Walk around without having to grip your phone, as long as you have two fingers locked in place around it. Even use your phone as a mirror for a quick touch-up.